Macaroni and cheese. 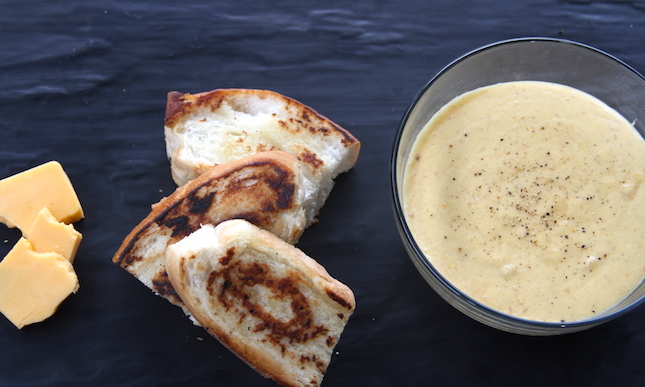 Hot cheese dips and sauces. Creamy baked vegetable or seafood dishes. Pasta with white sauce. 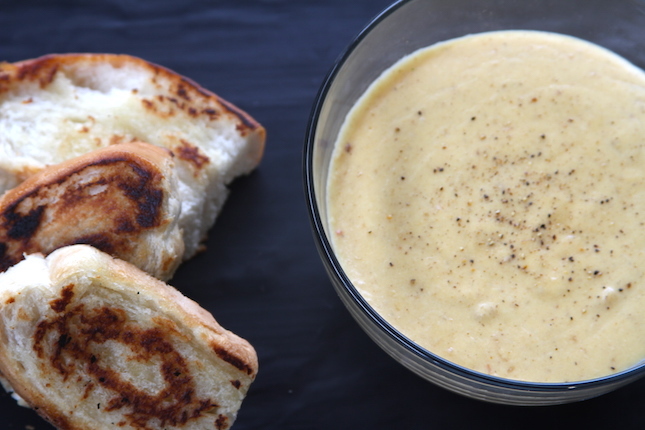 These are a few of the places béchamel sauces can take you. 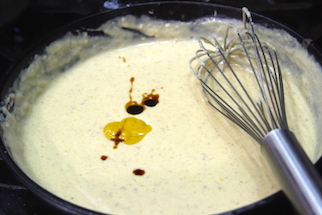 Béchamel is one of five mother sauces from which many other hot (or cooked) sauces are built. It’s ideal for improving pasta, vegetables and fish. We’ll lay out the basic recipe for making béchamel and where to go from there. 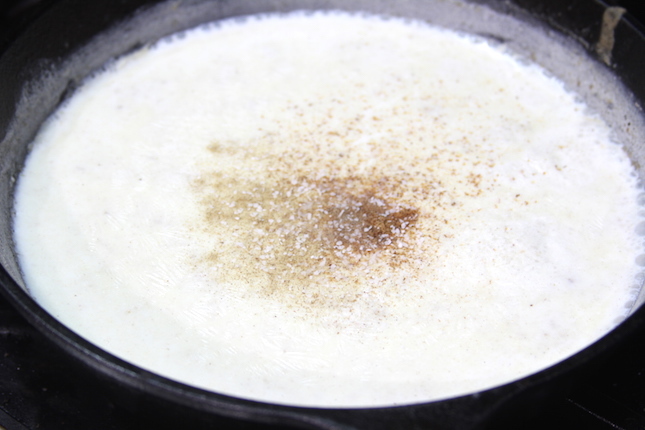 Step 1: Add the onion piquet to the milk in a heavy saucepan and simmer for 20 minutes. 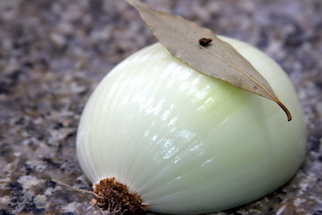 *Onion Piquet: Tack a bay leaf onto a small peeled onion using a clove. 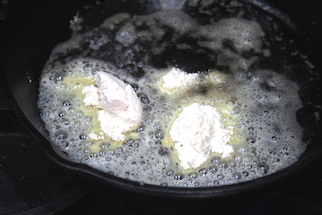 Step 2: In a separate Lodge Logic 12″ Cast Iron Skillet, make a white roux with the flour and butter: Melt the butter over medium heat. Add the flour and whisk constantly for about 2 minutes. Step 3: Before the roux begins to brown, remove the onion piquet from the milk and gradually add the hot milk to the roux while stirring constantly to prevent lumps. Bring to a boil. Reduce heat, add seasonings and simmer for about 10 minutes. 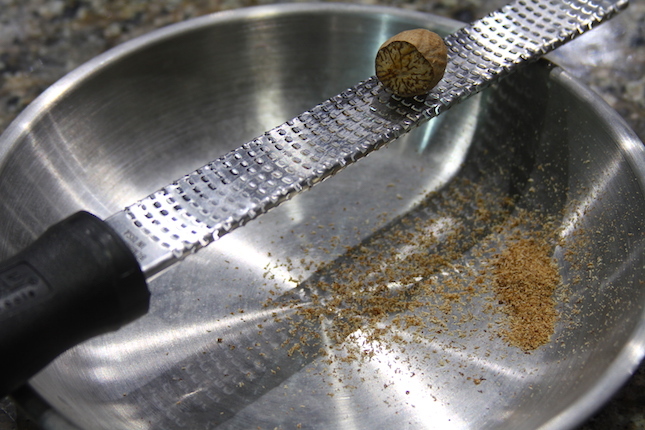 If your sauce has lumps you can strain it through a cheesecloth lined strainer. If storing in the refrigerator before use, place plastic wrap directly on the surface of the sauce to prevent a skin from forming. Quantities given are for 1 quart of béchamel. Don’t forget to season your sauces with salt and pepper, as necessary. Cream Sauce- Add to béchamel 8-12 fluid ounces scalded cream and a few drops of lemon juice. Mornay- Add to béchamel 4 oz grated Gruyére and 1 oz grated Parmesan. Thin as desired with scalded cream. 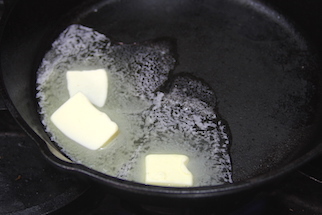 Remove the sauce from heat and swirl in 1/4 cup butter. 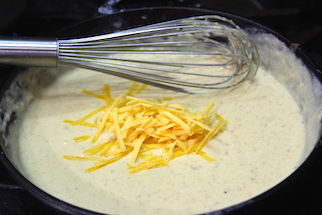 Cheese Sauce- Add to béchamel 8 oz grated Cheddar or American cheese, a dash of Worcestershire, 1 tablespoon of Grannie’s Sweet & Tangy Mustard and 2 tablespoons of Grinders Molten Hot Sauce . Of course, there are countless other possible variations to this sauce.